When starting a new design project, it is important to collect images of spaces that you like and details you want to incorporate. This will help you communicate your thoughts on how your space should look and feel to your design team. In the past, we’ve seen clients use inspiration boards, scrapbooks, or even just a box as a place to store the photos they like. Recently a new website has emerged that’s got everyone pinning to virtual inspiration boards… and we love it! Pinterest is an incredibly fun, and slightly addictive, website where one organizes and shares photos found on the web for each of their interests. 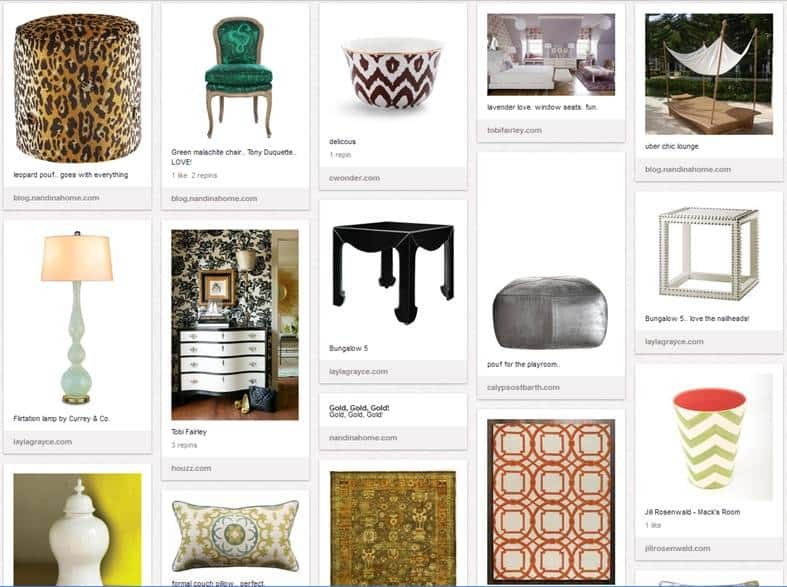 Users can create a pinboard for anything they like — from fabulous home design ideas, fashion inspiration, amazing destinations, glamorous wedding décor and so much more! Below is a look at a few of our contributors Pinterest Boards which we thought you might like to see…. So are you pinning on Pinterest yet? If so, tell us what your boards are all about! We would love to hear from you!